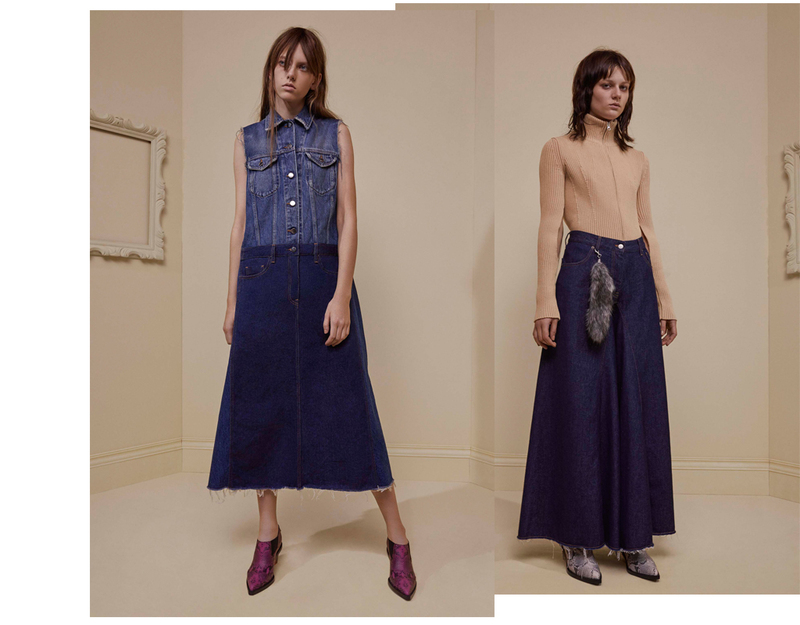 The designers of the collective behind MM6 were inspired by ‘the art of elevation’ for pre-fall 2017. 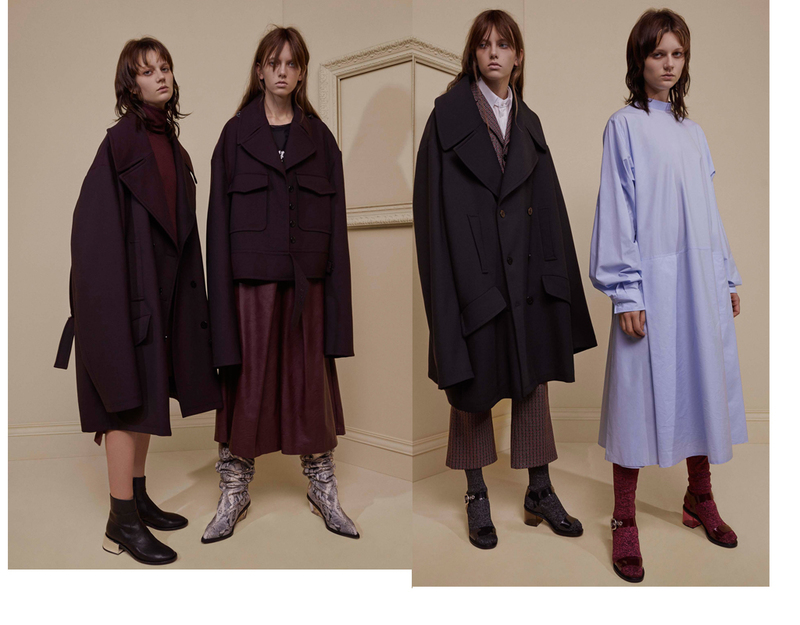 The collection features comfort clothing; shirts in oversize proportions and very long sleeves, voluminous denim and unexpected renderings, sweatshirts that could turn into backpacks and other clothes with a dual purpose. 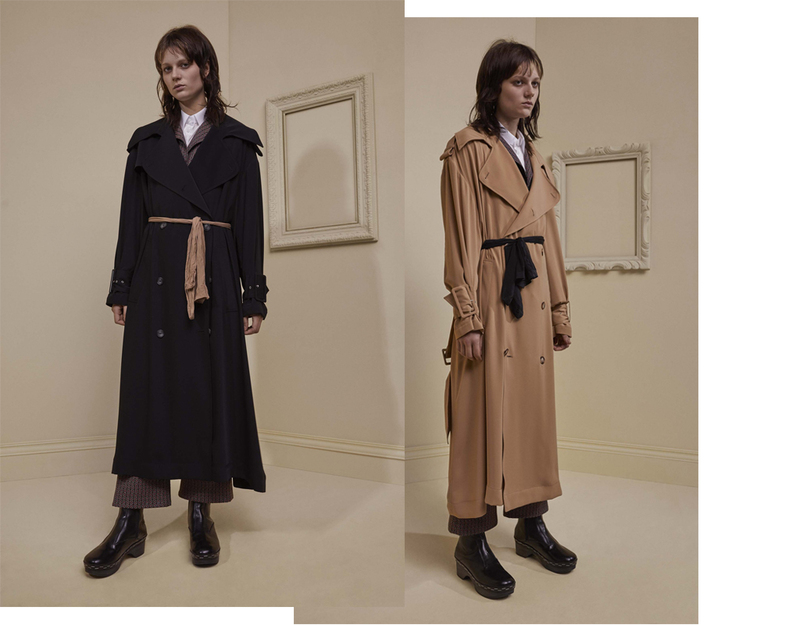 Elevated and rethought classics, like the great sillky trenches (see image above). The stockings were used as a waist belt like Margiela did for the first line of MMM spring summer 2000. All images courtesy of MM6.